Do you have a large crew and a project that calls for a stake bed? 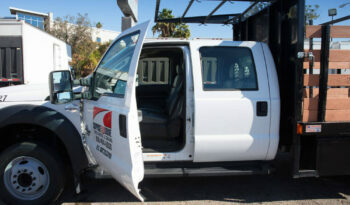 Our 12-foot stake bed features a 6-person crew cabin for easy transportation of all key personnel and equipment/cargo. Your driver will appreciate the automatic transmission, power steering, and power brakes while every passenger is able to enjoy air conditioner and an AM/FM radio as they head from one location to the next. 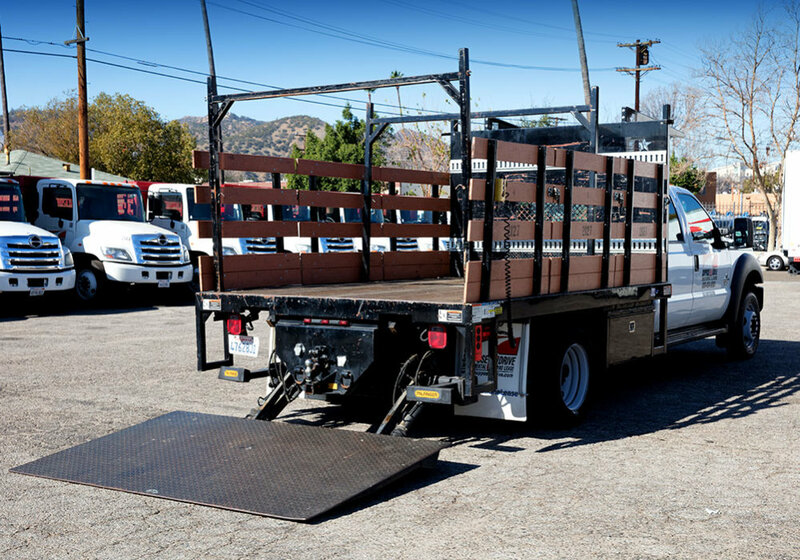 When it comes to loading and unloading, the cantilever lift gate will prove to be both efficient and convenient. 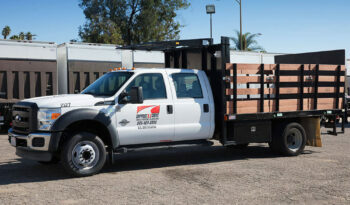 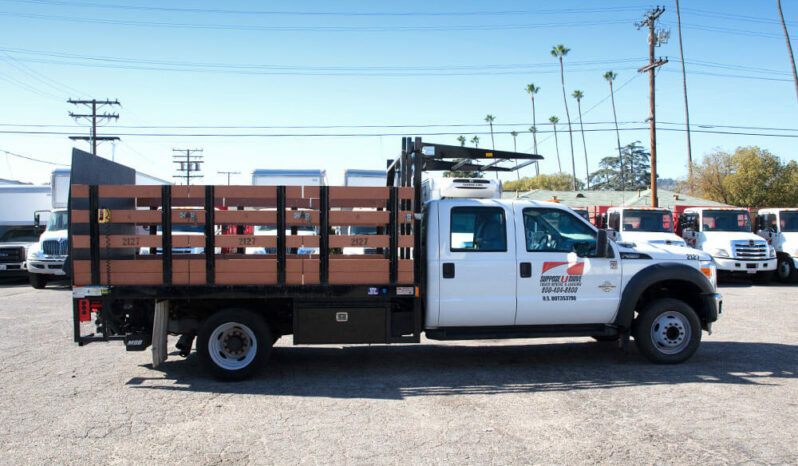 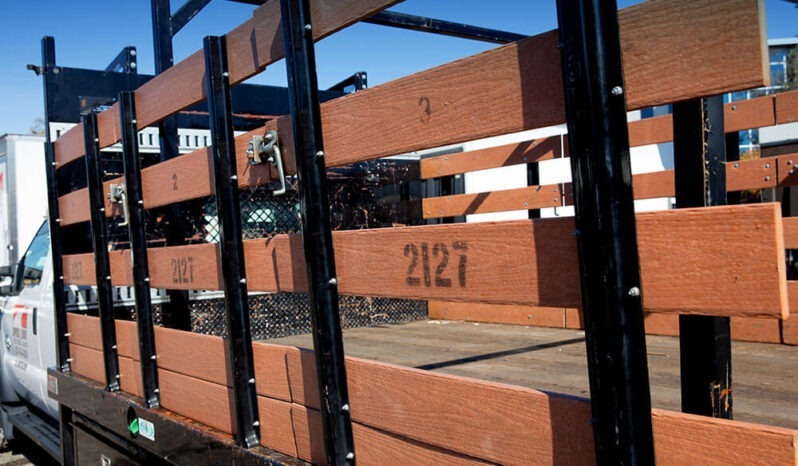 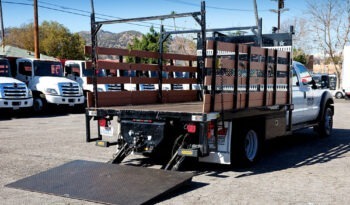 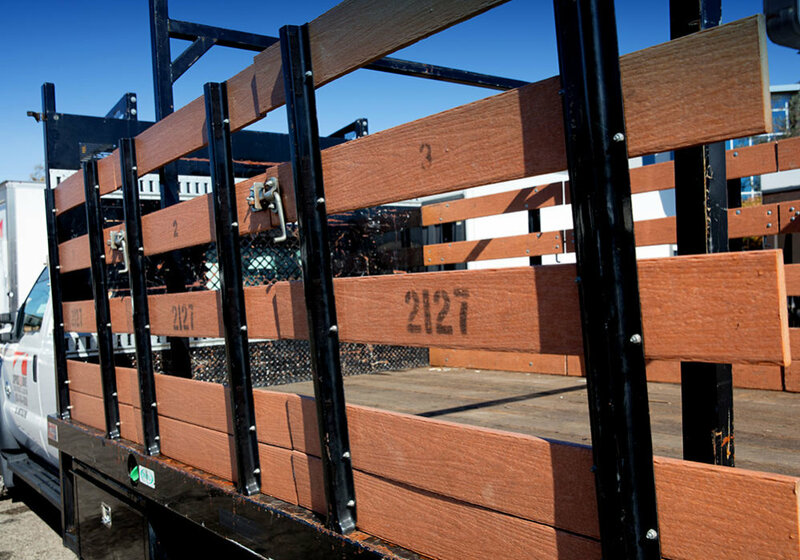 There’s also an overhead lumber rack, and every one of our custom-built stake beds can have the side posts removed so that you can convert your truck into a flatbed as needed. 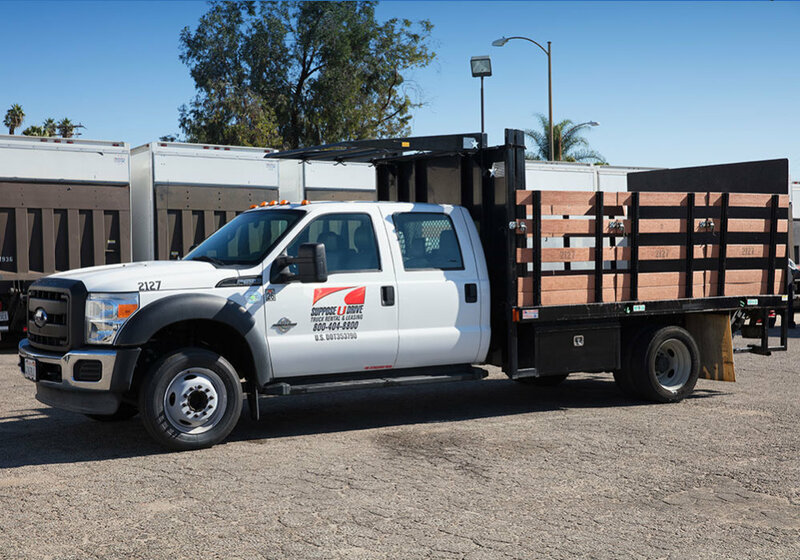 Like our other stake beds, these trucks are built upon a durable and reliable Ford 550 cab and chassis that provides superior performance. 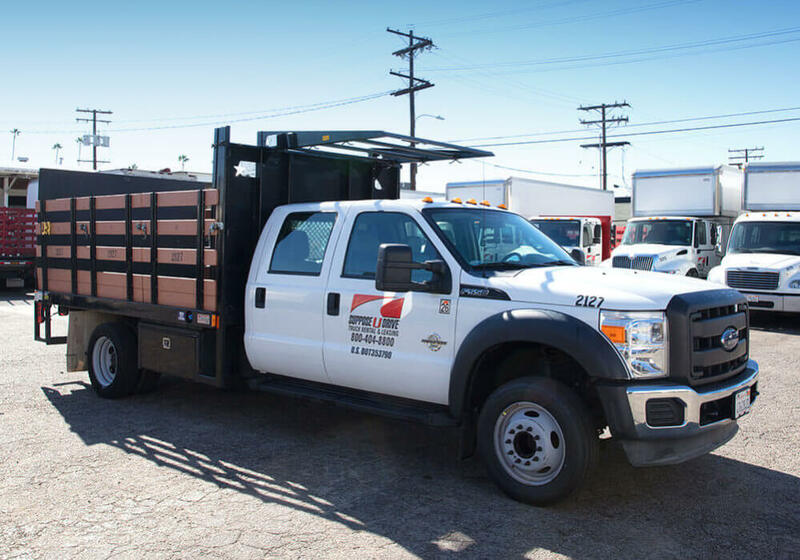 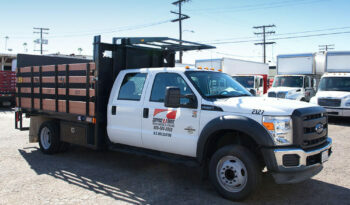 What’s more, every truck on our lot is ready to go when you are thanks to our super fast checkout process. 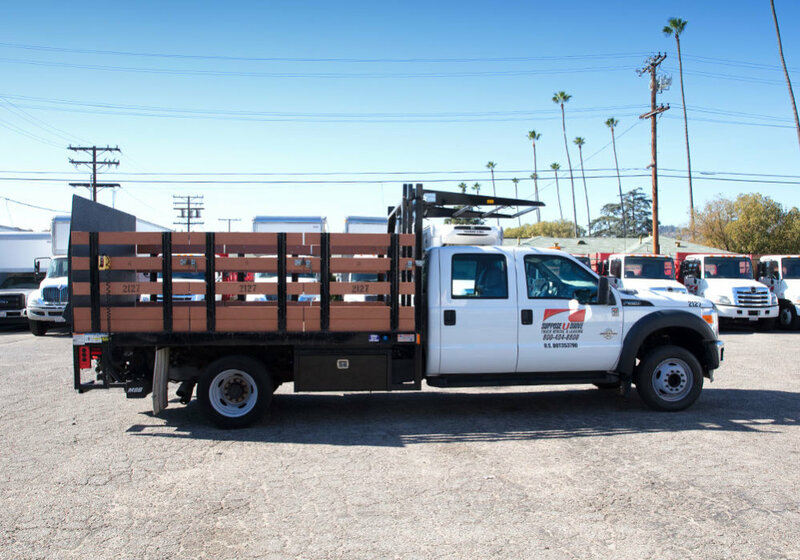 While the other guys will make you wait while they wash and fuel the truck you choose, every vehicle on our lot is prepared to be put to work. 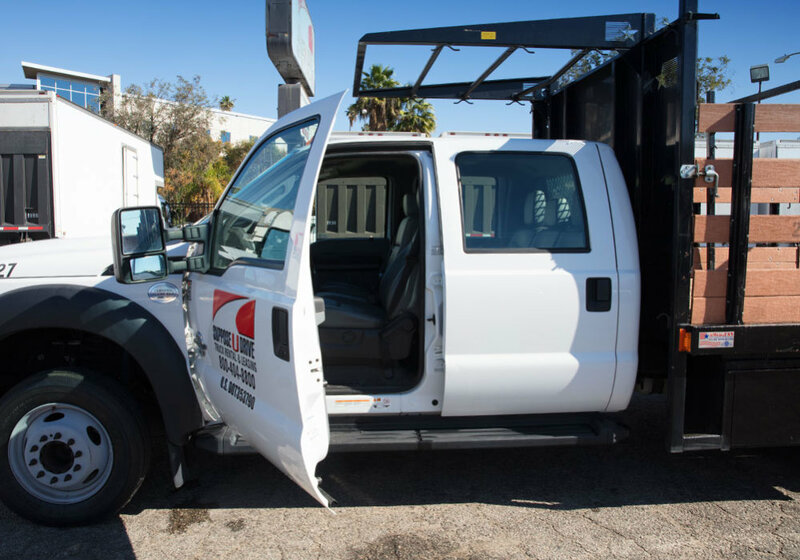 For both long-term jobs and short projects, our rental and leasing options can be tailored to fit your needs and budget.